The Gold Cat Cremation Urn with Base will add a comforting thought to your precious memories of your beloved pet. 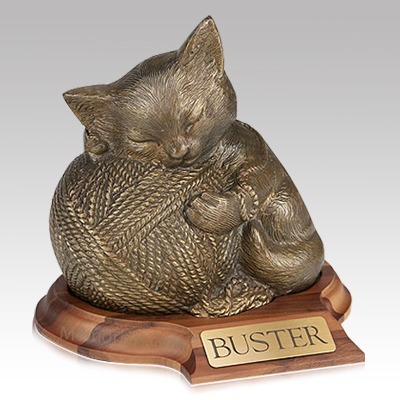 The cat urn is crafted with brass and perfected with a coating. This urn features a beautiful hard maple base with engraved plaque.